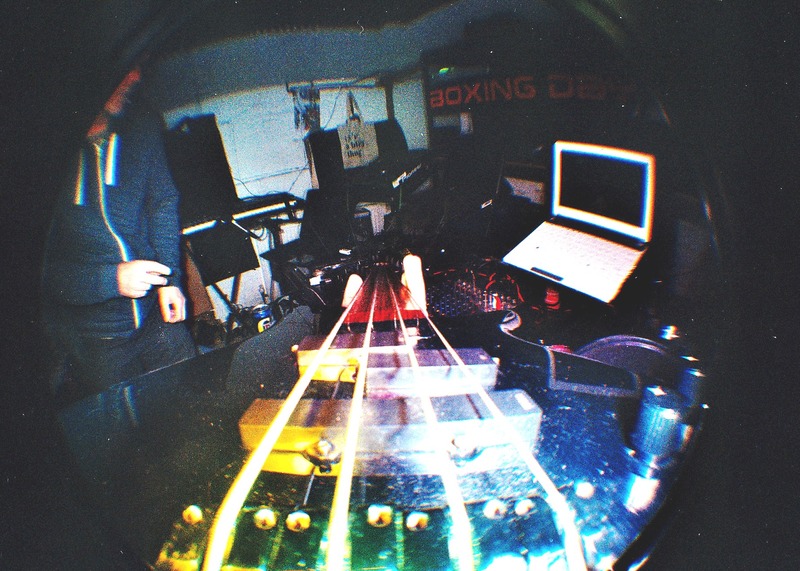 A lomography fisheye is a marvellous bit of kit. It’s got a 170 degree super wide angle lens. I’d loaded it with an out of date roll of German film called Paradises 200, stuck a ringflash on the front with 4 different coloured gels over the flash heads. Mashed up colours and shapes. It makes an ‘ordinary’ object, like a fretless bass (pictured above) look extra ordinary. Overt the past couple of weeks, it’s accompanied me to a wedding celebration, a 40th birthday and a radio studio. I got it back from the developers today (Max Spilemann – thanks guys! I’m fully aware of how much of a monkey these are to process) and I’m very happy with the results.